In a previous post of mine i have already stated my fondness of using twitter for monitoring important information i want to know crossing the web. Well i previously was partially to using tweet scan for this, but thanks to a Make Use Of article, i have switched to using Monitter for this task as it is more feature rich, allowing for monitoring of 3 keywords rather than 1. Check out the article for more information. Monitter is an easy-to-use application that allows you to monitor Twitter for any three keywords and see what people are saying about them. Monitter can be useful for many things such as finding Twitter users with similar interests as you or monitoring what people are saying about you and/or your website. Personally, I like using Monitter to see what other people are saying about some of my favorite sites and applications such as Digsby, Zenbe, and Feedly. So, there’s a big program release coming up and you want to be first in on the action? You want to try and beat the rest to get to the file before the servers get clogged and you get the infamous “Server to busy”. Well here is my suggestion of tools and tips to get you through. First off there are quite a few extensions for Firefox in this article so if you don’t have Firefox I’d suggest you get it because its one of the best browsers out there. Update scanner is a a Firefox extension that allows you to monitor web pages while browsing the web for any changes that might occur. You can set the scanner to check for updates for a time bracket anywhere between 5 minutes and 1 hour. You can also select how big of a change you want to monitor, from very minor changes (just a few words) to very large changes (a whole paragraph). This is one of my favorite Firefox extensions as its very flexible in its uses. 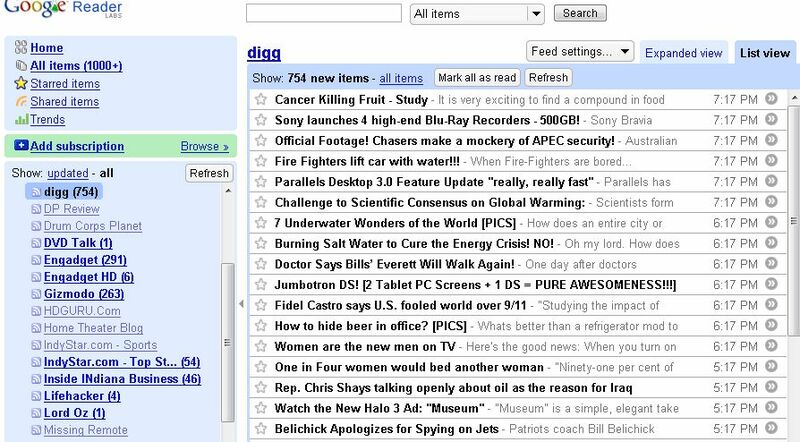 When I used to use Digg a lot a while back I used this to keep me up to date with high priority sites like cracked.com. My most recent use though was to help catch my copy of Windows 7 beta a week or so back. Its pretty simple but very functional, a real essential. Update scanner is available for install here. Again another extension for Firefox is reload every. Basically it adds a bit more functionality to your refresh button. You can set it reload the page you looking at at intervals of 5 seconds to up to 15 minutes, with the ability to add custom intervals. This tool is great for reloading pages which are a bit swamped on the servers or as a alternative to update scanner. It’s also very useful elsewhere, like eBay for the final few minutes of a auction. As a wrote in an earlier post, some of the most up to date information on what is happening in the world can be found by monitoring twitter. Just look at the Hudson incident last week and how news spread across the internet is about 10 minutes of the plane going down. Now how about harnessing the awesome power of twitter to help you in your hour of need when servers are crashing around you and all routes seem blocked? Tweet Scan does exactly that. Just type in the keyword that you want to monitor tweets for and it gives you a real time display of what people are tweeting about your keyword. This is such as useful tools as information on the quality of the servers, to direct file links, and to useful articles being published across the net. Never underestimate the power of twitter. Google reader is another one of my essential tools for use of monitoring blogs across the internet in one place for an sign of what I’m after. Blogs are the best place to find the some real informative information, but there are sometimes a little late in the day as it takes time to write a post. The information is a lot more reliable than that of the twitter community so blogs are still worth monitoring, and Google reader is one of the best online readers I’ve found, but there are many more. I personally prefer Google reader because of some of the many Greasemonkey extensions that are available for it which make life just a little bit easier. Do you remember the day that Firefox 3 was released? And how a fair few people (including myself) had problems trying to get through to the servers? Well i finally managed to get through due to a direct link posted on Twitter. And now Twitter (or rather Tweet Scan) has done it again. I and just about everyone else had problems ascertaining our copies for Windows 7 over the past few days. What with the server failures, product keys not being delivered and stuff just not going right, it was nearly impossible to keep track of what links were working and what weren’t. This is where Tweet Scan enters. I found that the most clear up to the minute advice on Windows 7 came from the entire community of Twitter sharing what was working for them and what wasn’t. Tweet Scan enables you to enter a few keywords and search for and Tweets with your query in them (in my case it was “Windows 7 download”). Tweet Scan then gives you an automatically updated time line with all the tweets relating to your query, effortlessly allowing you to monitor whats happening in the Twitter world. When you load up the Tweet Scan homepage, you are given a very minimalistic Google like search box with a tag cloud for the most popular tweets at the moment. Once you have submitted your query, you get a very resemblance to the familiar twitter time line with the incoming tweets updated regularly. Tweet Scan also gives yo the ability to search for tweets by user. This tool is one of my favorites for understand just what is going on during large events such as major beta releases. You get information that is more up to date than any blog could dream of keeping up with. The only downside is of course that the information may not be accurate 100% of the time. But if you need to be in the know, and you need to know now, the information is priceless.